The "Atalanta" is a six-seater open-sea reconnaissance flying-boat fitted with four Rolls-Royce "Condor" engines. ДальшеMore>>> A photograph of this machine is published herewith. It should be mentioned that the "Atalanta" is not a Manning-designed craft, having been designed by the Fairey Aviation Company, of Hayes, Middlesex. She was, however, built by the English Electric Company, The D.H.6 standing next to the "Atalanta" in the photograph should give a good idea of her size. It is not permissible to publish dimensions. 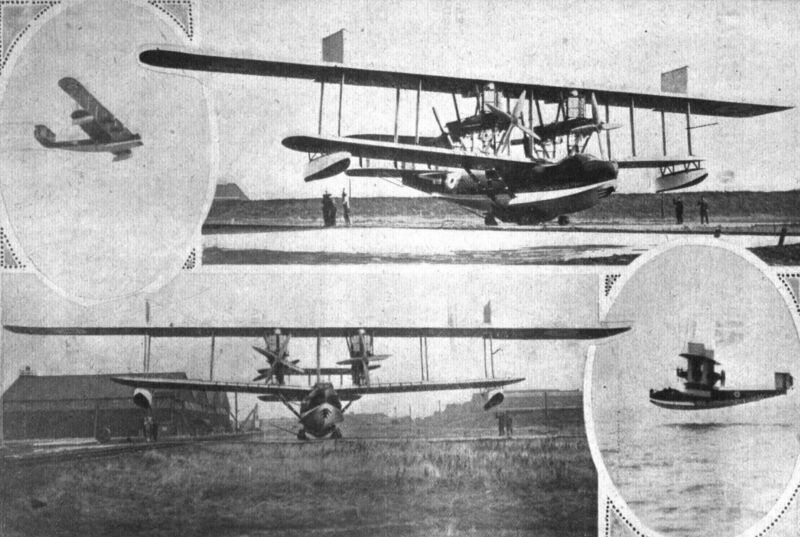 A Giant Seaplane: The four-engined "Atalanta'' flying boat was designed by the Fairey Aviation Company and built by the English Electric Company. It is fitted with four Rolls-Royce "Condor" engines. A good idea of size is provided by the D.H.6 standing next to the "Atalanta." 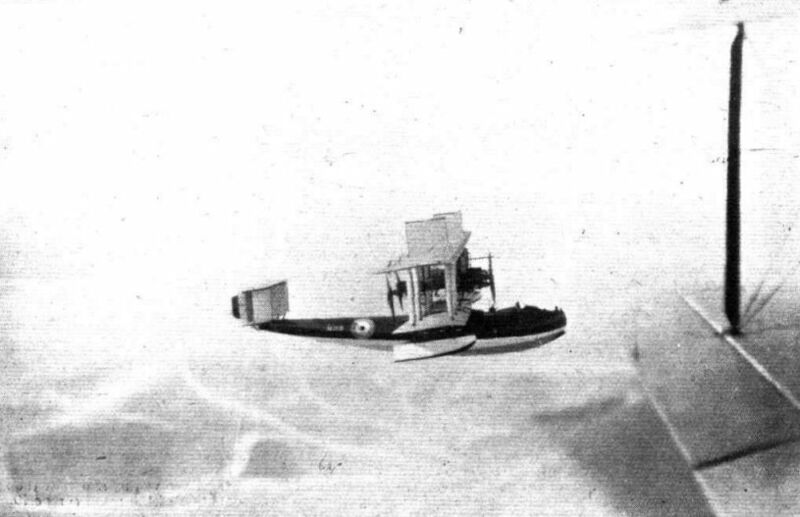 The Fairey "Atalanta" in the air, photographed from another Fairey seaplane. The Fairey "Atalanta" is probably the largest flying boat in the world. The machine is fitted with four Rolls-Royce "Condor" engines. FOUR. 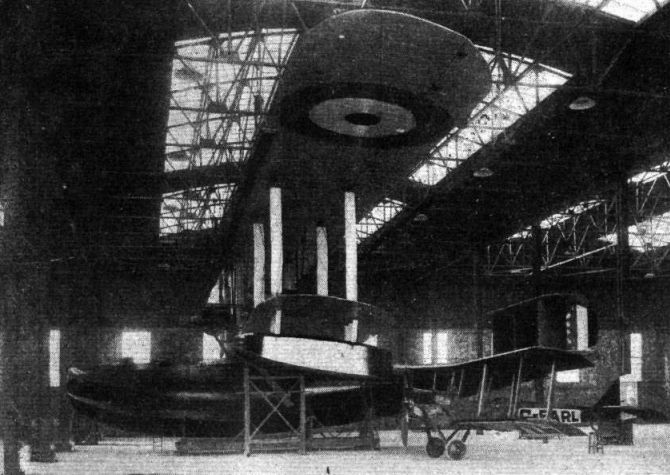 VIEWS OF THE FAIREY "ATALANTA": This machine, which is equipped with four 700 h.p. Rolls-Royce "Condor" engines, is probably the largest flying boat actually in,commission. The type is known as, an Open Sea Reconnaissance flying boat.